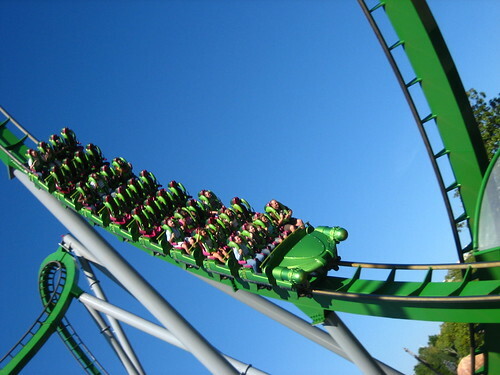 Keen to hit the adrenaline-pumping theme parks of Orlando but overwhelmed by choice? Benedict Montgomery gives us the run down on his top attractions in the city of thrills and chills. Orlando: just that word alone makes us think of warm Floridian sunshine and endless hours of fun that can be enjoyed at some of the world’s most famous theme parks. Located in the heart of Florida, Orlando is the most visited city in the USA. Personally, I love the city’s theme parks because they offer something for all the family – whether you enjoy the thrill rides or not. Here’s a rundown of my all time favourite Orlando resorts. Let’s begin with the largest of them all – Walt Disney World sprawls over 47 square miles! It is home to four amazing theme parks, two water parks, numerous golf courses, an entertainment district, and over twenty-one resort hotels. 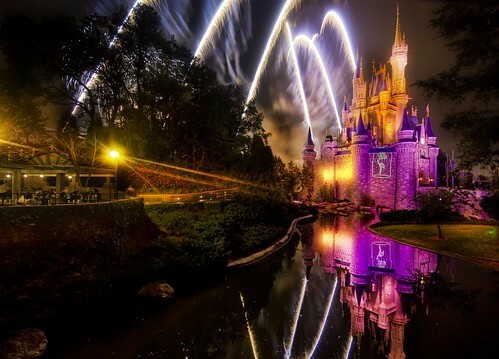 You may think that Walt Disney World is just for kids – but not so. Its parks are home to some major thrill rides that would make even the bravest adult weak at the knees. You could brave the three mountains of Magic Kingdom (including Big Thunder Mountain, Railroad Mountain and Splash Mountain), soar into space at Epcot theme park aboard Mission Space, or defy gravity on the Twilight Zone Tower of Terror. Then you could rock out on Rock N Roller Coaster Starring Aerosmith at Disney’s Hollywood Studios or dare to come face to face with a yeti at Expedition Everest in Disney’s Animal Kingdom. I love visiting Walt Disney World because there is simply so much to see and do – you could spend 10 days exploring the resort alone! Universal Orlando Resort is home to two theme parks and entertainment hotspot Universal CityWalk. For thrill seekers, Universal Studios Florida is home to Revenge of the Mummy, a rollercoaster with a few hidden surprises along the way. If you are keen to get a music video of yourself rocking out, then hop on Hollywood Rip Ride Rockit, where you can rock out to your favourite song before strapping in and being hurtled into the sky, up and over the world’s first non-inverting loop! Right next door is Universal’s Islands of Adventure, home to the Wizarding World of Harry Potter, where you can experience the magic of the movies on three attractions. Then, for the adrenaline junkies, Marvel Super Hero Island is your dream come true – with the Incredible Hulk Coaster, Spiderman attraction and a thrilling freefall ride. This has to be one of my favourite theme parks of all time. 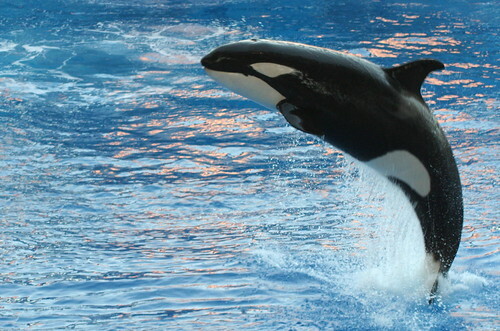 But SeaWorld Orlando is not just a theme park, it’s an immersive experience unlike any other. Where else can you feed dolphins, watch killer whales then fly like a manta ray about Manta, the flying coaster? My tip is that you must watch the shows Blue Horizons, a dolphin, sea lion and acrobatic spectacular; and One Ocean, the new show featuring everyone’s favourite killer whale: Shamu. Keen to get the heart racing again? SeaWorld is home to the Kraken, the first floorless rollercoaster in the US. There’s also Journey to Atlantis, a water-coaster experience that ends with a big (and I mean big!) splash. 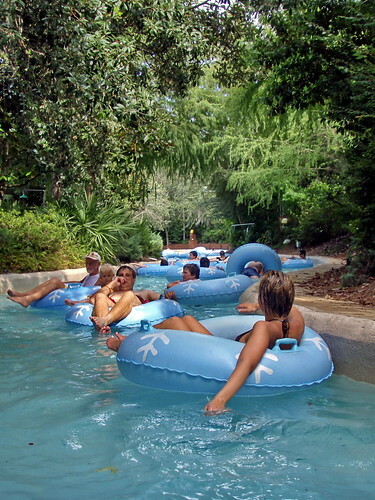 If all that theme park action gets a bit much, you can head on over to some of Florida’s best water parks including Disney’s Blizzard Beach, Typhoon Lagoon, Wet N Wild and Aquatica – SeaWorld’s very own water park. There’s fun for all the family – from crazy water chutes and wave pools to simply lounging on a rubber ring as you drift along a lazy river – paradise! For your own dose of Florida family fun, check out our exciting collection of Florida holiday deals, jam packed with freebies including FREE nights. You could sample Orlando’s best theme parks with the Orlando Celebrations deal – with return airfares and 7 nights accommodation from £469, with complimentary transportation to Walt Disney World, Sea World, Universal Studios and Lake Buena Vista Factory Outlet Mall.